Three unlikely friends hijack a ship and traverse the depths of an unpredictable universe. The crew of the Joyride is fractured. A year has passed since they stared down the Void at the far reaches of space. With friends lost, the crew went their separate ways and haven’t spoken since. They created new lives and identities in hopes of moving on but there’s one thing that could bring them back together: a return to Earth to take on the ruling fascist regime once and for all. 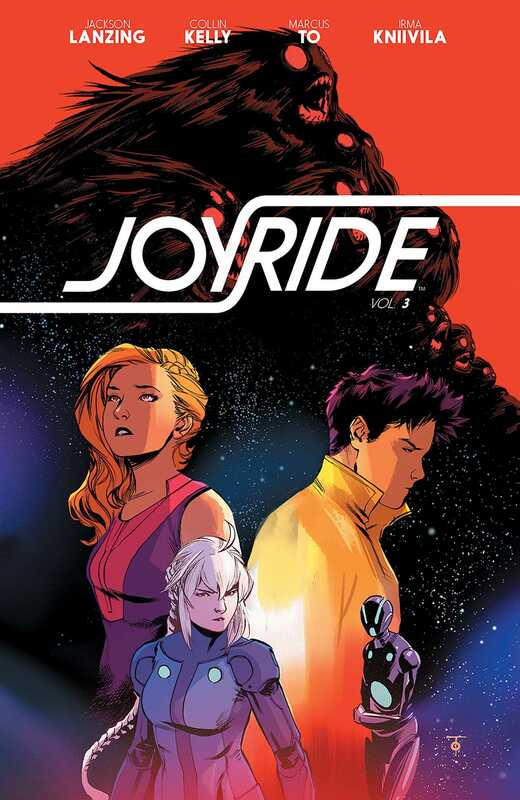 In this stunning conclusion to the critically acclaimed series, writers Jackson Lanzing and Collin Kelly (Batman and Robin Eternal, Grayson) and artist Marcus To (Nightwing, New Avengers), bring the Joyride back to where it all began to create a new future for the people of Earth.